We talk a lot in yoga about developing core strength in order to build overall stability within the body. However, I feel that sometimes with all that upper body focus, we may neglect the importance of a strong lower body to match those abs of steel. Your legs are your foundations. Taking care of your legs will set you up for a stronger yoga practice and a more stable body out in the world. 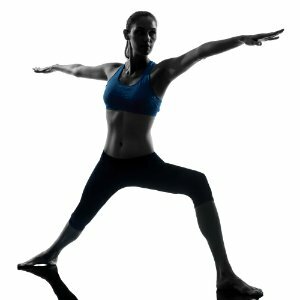 Here are my top five favorite yoga poses for improving leg strength. Warrior One is amazing for strengthening the quadriceps (front of the thighs) while giving you a great hip stretch for the back leg. This posture will also challenge your stability due to the slight internal rotation of the back foot. If you find this posture difficult, I recommend taking your feet apart more width-wise so that you look like you are standing on train tracks, rather than lining up the front heel with the back foot. Holding this posture for 5 to 10 breaths will certainly set you up for a little shake-fest! Warrior II, like Warrior I, will help to strengthen your quadriceps, but you will be challenging your back leg in a very different way. This posture is externally rotated, meaning that you have to engage your back inner thigh muscles to keep you stable. In this posture, see if you can keep your torso stacked directly on top of your hips, rather than leaning forward or backwards. This will help to stabilize your weight over your legs, challenging both legs equally. 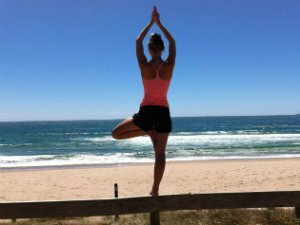 Balance postures are amazing for developing strength all along the standing leg, and even down into your foot! The constant balance challenge in Tree Pose will engage every muscle fibre in your lower leg, and help you to build some nice tone in the arches of your foot as well. For an extra calf challenge, see if you can rise up onto your tip toes in this pose, even if it is only for a second! This is one of the best postures for leg strength as well as leg flexibility. You will be engaging all the muscles in your standing leg in order to hold yourself vertical, and you will be working to open up the hamstrings in your extended leg. 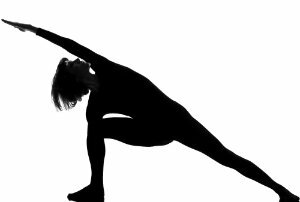 Remember that it is very important to balance strength with openness, and this pose accomplishes that balance quite well. This is a major quadriceps burner. It can be very tempting to rest much of your weight on the bottom arm in this pose, but if you are able to properly engage both your front and back legs while holding Extended Side Angle, you will see that it is really all about the bottom half. Try to imagine that you want your upper body to be floating weightlessly over your legs while you practice this pose, and see how much engagement you get in your legs. Taking care of your lower body will actually help you to enhance the strength of your core as well! Remember that at the end of the day, your body is still just one unit. We like to think of it in parts, but the whole thing must work together to create a strong and stable you!